Air travellers may have to shell out hefty amounts if the fare bands proposed by airlines -- which will also take into account the distance factor -- are approved by the civil aviation regulator DGCA. If approved, this would mean that an air passenger will have to pay Rs 10,500 for a Delhi-Chandigarh or Chennai-Coimbatore flight and Rs 40,000 on the Delhi-Bangalore or Delhi-Kolkata route. The domestic airlines came out with the proposal after they were asked by the Directorate General of Civil Aviation to submit the planned price bands on various sectors after some of them resorted to steep hike in airfares even during the non-peak season. The proposal was submitted on Wednesday. 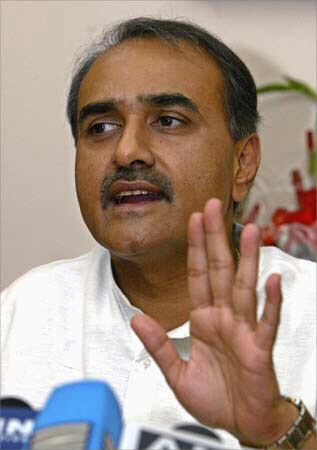 Civil Aviation Minister Praful Patel said on Thursday that the airlines would not be allowed to charge exorbitantly. "DGCA will not allow any predatory or exorbitant pricing. If there is something lacking we will make necessary correction. We will not allow airlines to charge exorbitantly. We will not let them take advantage of a situation," he said. DGCA sources said the proposed fares which is based on four distance slabs were being examined but made it clear that there should not be a situation where the airlines fleece passengers though a huge fare increase. The average price would be lower if tickets are bought in advance. The fares would reach their peak if purchased on the day of travel or just a day before, the sources said. The regulator, which has established a Tariff Analysis Unit to keep a tab on the prevailing fare levels, would take a decision on the matter very soon, the sources said. The unit would monitor route-wise tariff across their networks on a regular basis from now on. In their responses, the airlines proposed one-way fares ranging between Rs 10,500 and Rs 40,000 for distances of less than 750 km and more than 1,400 km. Interestingly, both these fares have been suggested by no-frill carriers. 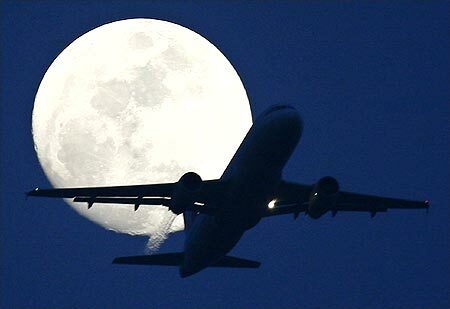 The airfares have been quoted for four distance slabs of less than 750 km, 750-1,000 km, 1,000-1,400 km and beyond 1,400 km. 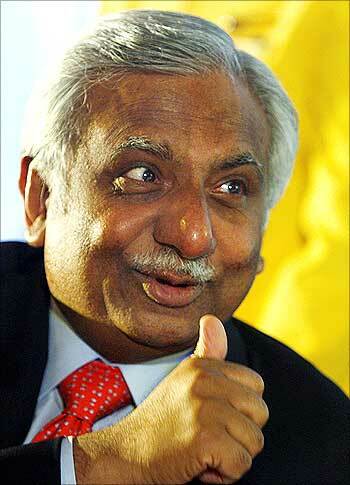 Image: Jet Airways chairman Naresh Goyal. IndiGo, SpiceJet, Jet Airways, JetLite, GoAir and Air India (Domestic) have given their proposals on this basis. Kingfisher Airline has been asked by DGCA to rework its proposal as it has submitted fares on the basis of two slabs. The fares proposed by these airlines on the 750-1,000 km slab ranged between Rs 14,550 and Rs 19,500, while it was between Rs 17,000 and Rs 25,000 for the next slab. The high distance slab had proposed fares ranging between Rs 22,000 and Rs 40,000. 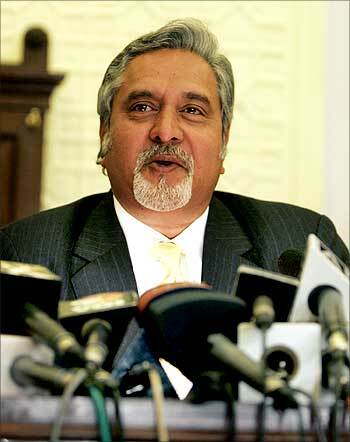 Image: Kingfisher chairman Vijay Mallya. Domestic airlines want up to Rs 40,000 one-way fare! Sending a strong signal to domestic airlines over sudden spurt in airfares, the civil aviation ministry had warned them of action if they continued predatory pricing. The airfares have been almost 30-40 per cent high on several major domestic routes even during the non-peak season. 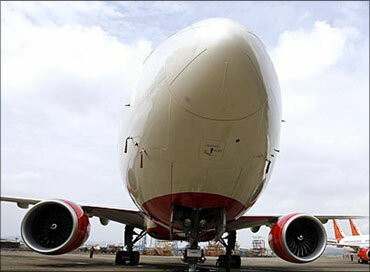 The DGCA has also asked the airlines to publish air fares on their websites or in newspapers on a regular basis. Last year when some airlines withdrew their low-end air fares almost simultaneously, moves towards cartelisation were suspected. DGCA had then asked all scheduled carriers to give details and justify their decision to raise the prices.